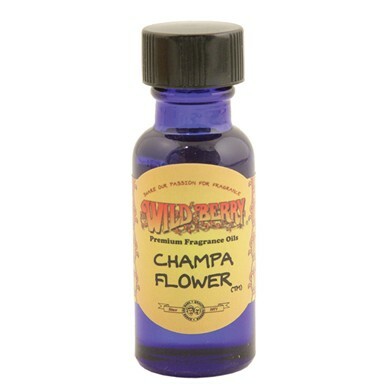 This Wildberry Champa Flower Essential Oil has an exotic floral scent with notes of rose, sweet herbs and fresh berries. Deeper notes include patchouli, sandalwood and vanilla. Wildberry's version of the popular classic Nag Champ scent. This oil can be used both in a home oil diffuser and as a body fragrance.